MANILA, Philippines - Two South Korean doctors had traveled to the Philippines after treating a patient with Middle East Respiratory Syndrome-Corona Virus (MERS-CoV) in Seoul, the Department of Health (DOH) said yesterday. 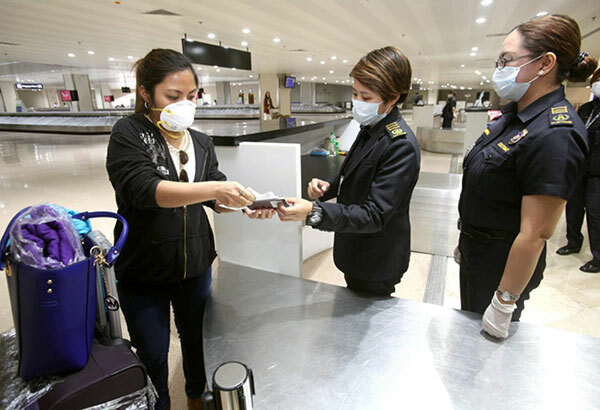 However, the couple did not manifest any symptom of MERS-CoV when they arrived in the country, Vito Roque, acting head of the DOH Epidemiology Bureau, told reporters. “The only detail that I can give you right now is that the two had no travel restriction given by the government,” Roque said. “To date they are asymptomatic,” he added. The couple had submitted themselves to voluntary testing when they returned to Seoul and were found negative for the virus, Roque said. The South Korean health department had cleared them before they traveled to the Philippines, he added. Roque said the couple did not register on the heat scanner at the airport because they did not have any fever when they arrived here. Roque again asked all international travelers coming to the Philippines to fill up the health declaration checklist truthfully and correctly to monitor the disease. “For those going to South Korea, protect yourself and prevent yourself from getting sick. Observe social distancing, cough and sneezing etiquettes and hand hygiene,” he said. The DOH coordinated with the South Korean health department after news about the couple circulated. As of last night, the DOH has not received a full report on the couple’s travel details in the Philippines. Based on news reports, the couple had treated a 72-year-old woman who was confirmed positive for MERS-CoV in their clinic last week. Prior to this, the woman was reportedly confined at the Pyeongtaek St. Mary’s Hospital where 37 people had contracted the virus. The couple reportedly arrived in the Philippines last Sunday and left the following day.